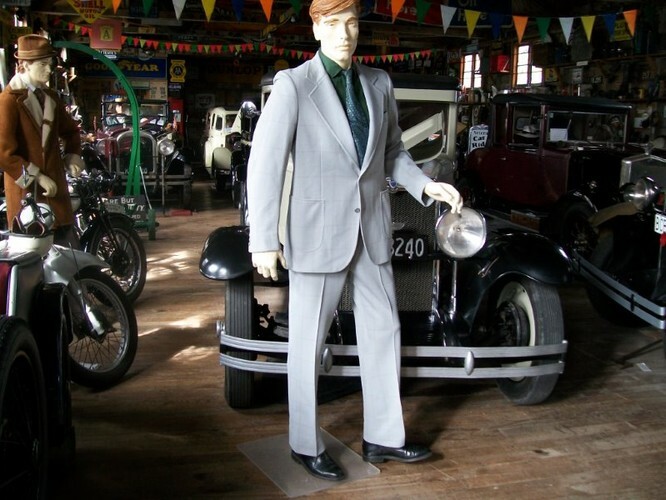 Revisiting the 1970's is a nostalgic trip at The Pointon Collection of Cars & Costume in Masterton. We see the bride & groom - her in daisy trimmed velvet gown & he in a mod suit complete with knit shirt & wide tie. We see the Mother of the Bride in crimpilene & some of the guests who wear everything from mini to maxi. This is the era of granny prints, peasant dresses, platform shoes & flared trousers - and a whole lot more. The Women's Weekly in 1972 said..."wardrobes contain what must be the greatest selection ever in lengths, colours & styles. For the first time in memory a woman can wear whatever suits her & still be in fashion". 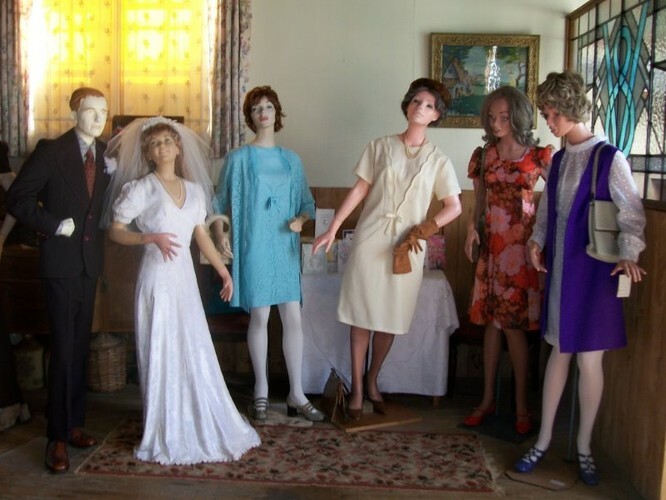 So take a real trip - down memory lane and relive the 70's clothes - and of course the cars too. On show until Sunday 19th October 2014. Open most days, phone to make sure. Groups welcome by appointment. All visitors personally escorted.